The soothing and calming contrast in the classic biker jackets with wool front inside closure is rare. 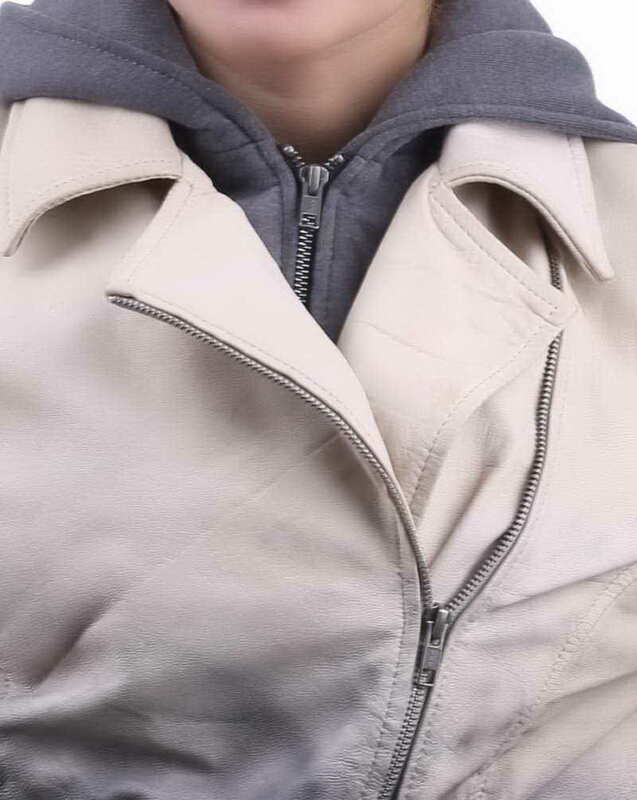 We’re introducing the women biker jacket in the whole new pastel shades that will neutrally dilute in your feminine beauty. 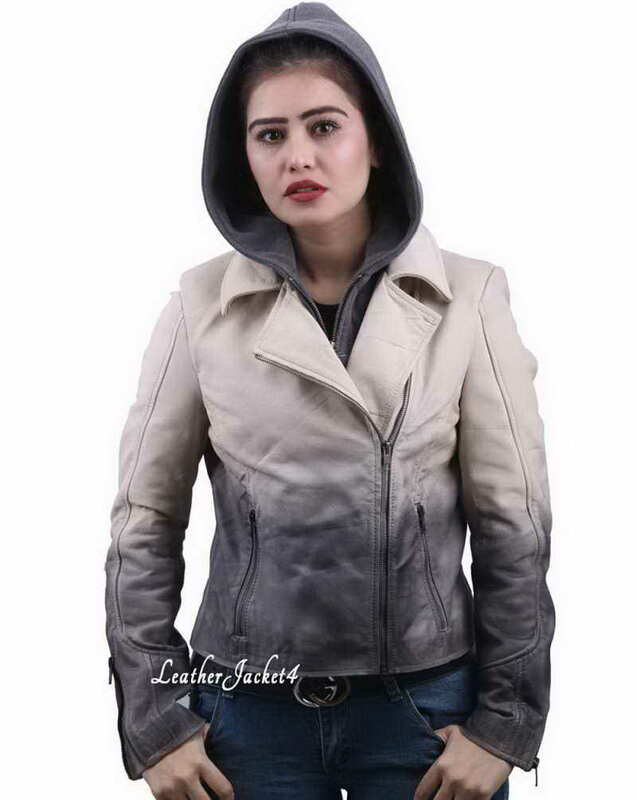 The two-color combo is horizontally meeting in between the bodice section whereas some essential stitching embellishments create the obvious biker look. Pair it with dark shades trousers or types of denim will give you an edgy touch whilst you may further take the contrasting flair by donning the crop-top inside. 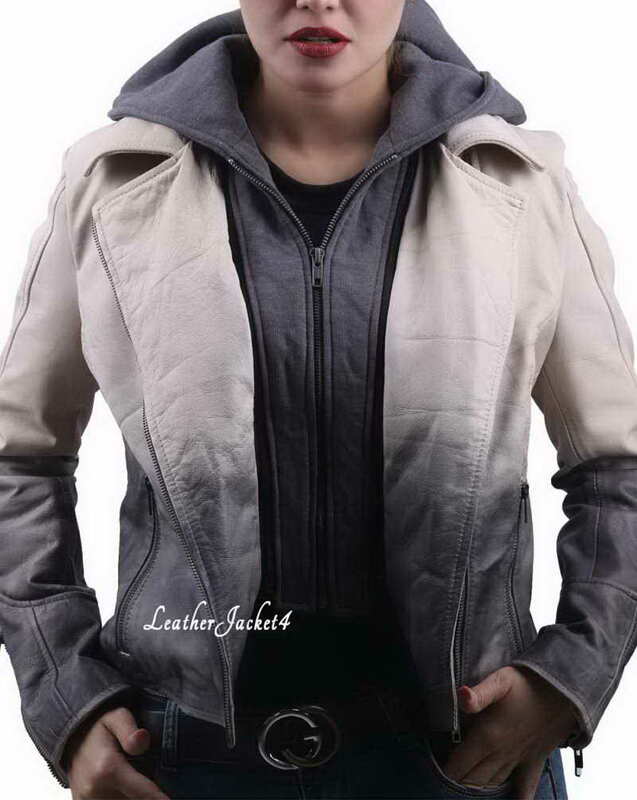 In order to exude some extra biker characteristics, this jacket has slightly short lapel collars with asymmetric front zipper closure. 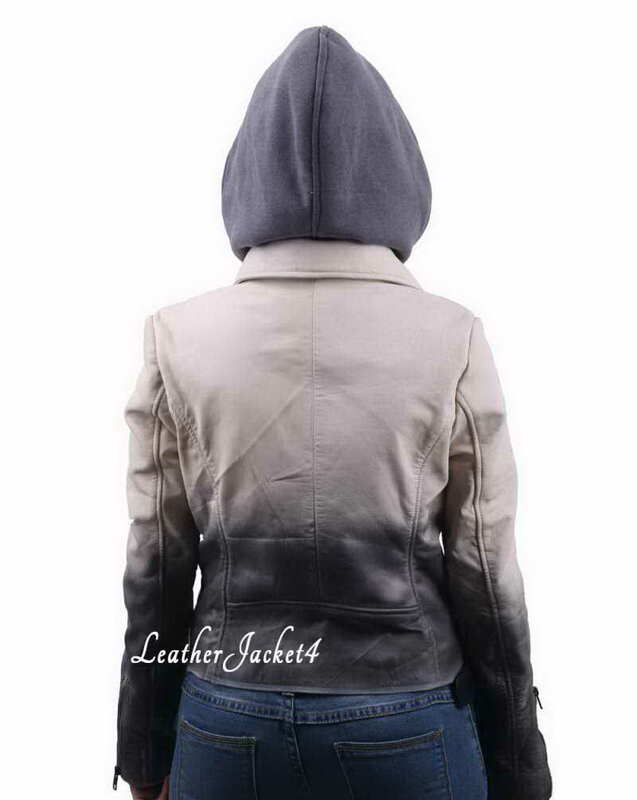 Two vertically sewn side pockets have been given zipper openings whereas round cuffs are also zipper decorated for the wrist adjustment. To make it winter friendly there is a wooly hood attached nearly edges of front closure, the jacket is made from high-quality real leather with cozy viscose linings inside for the warming touch.